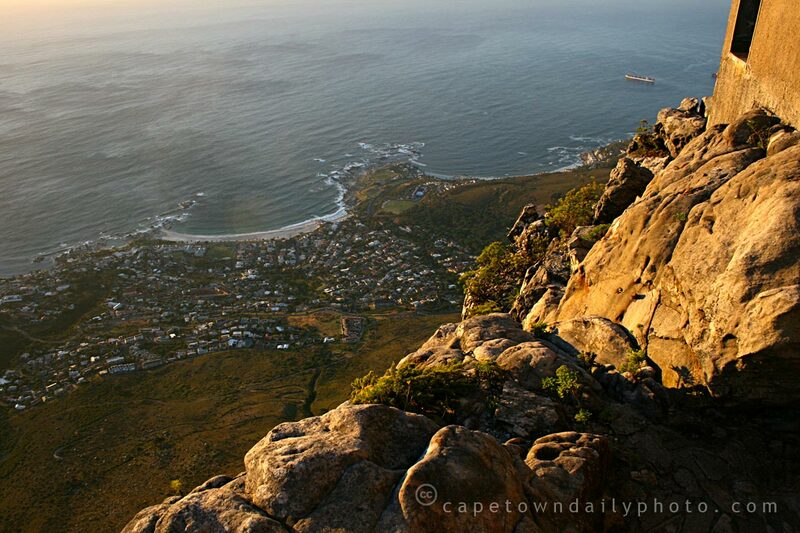 Until 28 February the Table Mountain Aerial Cableway is offering sunset trips up Table Mountain at half price. Instead of paying R145 for an adult return ticket we paid only R72.50. The offer is valid every day from 18h00, giving about 3 hours of awesome views from the top of the mountain, as well as the most spectacular sunset. If you don't mind paying full price then it would be quicker go up the mountain at about 17h00 as it took us about 45 minutes from joining the queue to climbing into the cable-car. You are allowed to take your own picnic basket, including alcohol if you choose, up the mountain. It's not completely necessary however - there is a restaurant on top of the mountain. We never bought food, so I can't comment on price or quality - but we did buy hot chocolate at R9 for a mug - which in my opinion is pretty cheap. Note: No matter how hot it is at ground level, take warm clothing along. The mountain is just over 1000 meters higher than ground level - it get's cold up there as soon as the sun sets. Posted in General on Tuesday, 16 December, 2008 by Paul.